Sugar is big news these days. From the snootiest broadsheets to the unlikeliest of tabloids, every UK newspaper has featured headline-grabbing stories about the effects of sugar-laden foods on our health. In culinary terms, it’s currently public enemy number one. So it’s no wonder more and more Londoners are cutting down on sugar, or quitting altogether. Top Walthamstow-based baking blogger Sarah Trivuncic of Maison Cupcake — once almost entirely associated with baked sweet treats — gave up sugar before Christmas one year. She explains: “I didn’t specifically plan to give up sugar; rather I wanted to improve my energy levels and cut back on white carbs and processed sugars to stabilise my eating patterns. As a consequence, I was eating more whole foods. Very quickly I noticed that the less I ate sweet things, the less twitchy I felt between meals craving snacks. I don’t know how long I’ll keep it up — hopefully long-term — but so far I’m not feeling deprived of anything.” She’s blogging less about cupcakes and more about kale and quinoa these days. Technically-speaking, most foods can’t be sugar-free as such as they contain naturally occurring sugars; and the ones which refined carbohydrates convert into sugar. So, we’ve rounded up restaurants, bakeries, confectioners and ice cream parlours where you can enjoy foods containing no added refined sugars (but may contain other natural sweeteners instead). It’s a culinary guide, not a medical one. We believe it’s the first of its kind in London. It demonstrates that you don’t have to miss out just because you’re cutting down on the sweet white stuff. Located in Belgravia, this highly acclaimed, swish Modern Indian restaurant nearly always has two sugar-free desserts on its menu: usually strawberry granita and poached pear. The sweetness derives from the fruits’ own natural sugar. Although not mentioned on its menu or website, this one-Michelin star Modern Scandinavian restaurant near Marble Arch serves desserts that are low in sugar. “The chef likes using minimum quantities of sugar”, the restaurant confirms. Costing £13.50 each, the desserts include alphonso mango and passion fruit sorbet, Valrhona white chocolate mousse, raspberry granita, and Icelandic skyr (a yoghurt-like dairy product) served with strawberries, vanilla ice cream and rye breadcrumbs. Although this ground-breaking healthy fast food chain doesn’t serve sugar-free dishes, all the savoury and sweet items on the menu are annotated with a symbol indicating whether they’re low GL (glycaemic load is a measure of how much a food item raises your blood sugar level). There’s a large choice of low GL dishes from poached egg pots for breakfast to chorizo burgers for dinner. Tucked away in a King’s Cross side street, this cosy though somewhat austere Japanese vegan restaurant is centred on a holistic philosophy of natural foods. It uses no refined sugars on its menu. Instead dishes are sweetened with dates, maple syrup, agave nectar or apple juice. Sugar-free desserts (£4-£5) include white sesame and kanten (agar seaweed) jelly pudding, and seasonal fruit kanten too. Helmed by acclaimed vegan chef Ben Asamani, this hugely popular restaurant has been around for over a decade. Most of the desserts, such as the tofu cheesecake, have no added sugar; while a few such as the nutty, fragrant, raw ‘spice island pie’ are sweetened with agave nectar. Staff will advise you at the time of ordering. Very strongly centred on nutrition, this buzzy ‘free from’ restaurant uses yacon (a Latin American tuber) and palm syrup instead of refined sugars in its dishes. 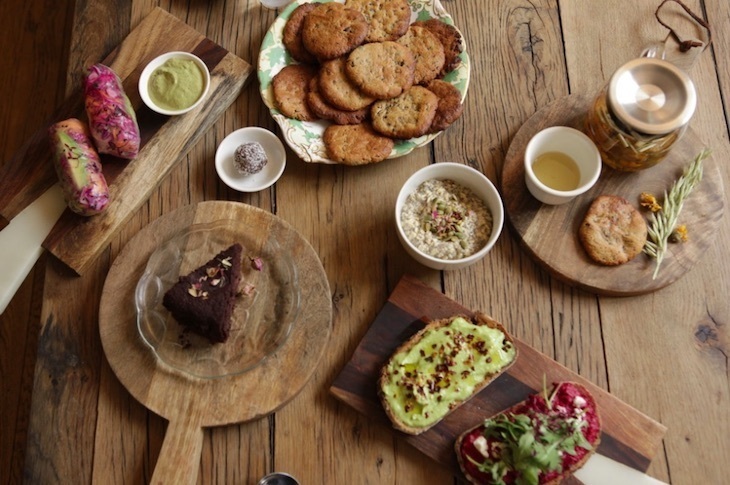 Whether you pop in for raw crackers or ‘living lasagne’, this hyper-healthy restaurant caters for every type of diet. Devised by naturopath and raw food pioneer Katia Narain Phillips, the food at Triyoga Camden’s Nectar Café is free from refined sugars. Items range from smoothies and gluten-free porridge for breakfast, to sweet treats such as feel-good doughnuts sweetened with maple syrup. Ensconced within Covent Garden's Neal’s Yard, this bustling venue focuses on raw, vegan and wild foraged foods. Desserts (£5-£7) include raw chocolate tart, chestnut and rosemary upside-down cake and wild blackberry cheesecake. They’re sweetened with the likes of coconut sugar, agave nectar, maple syrup, dates, dried or fresh fruit. 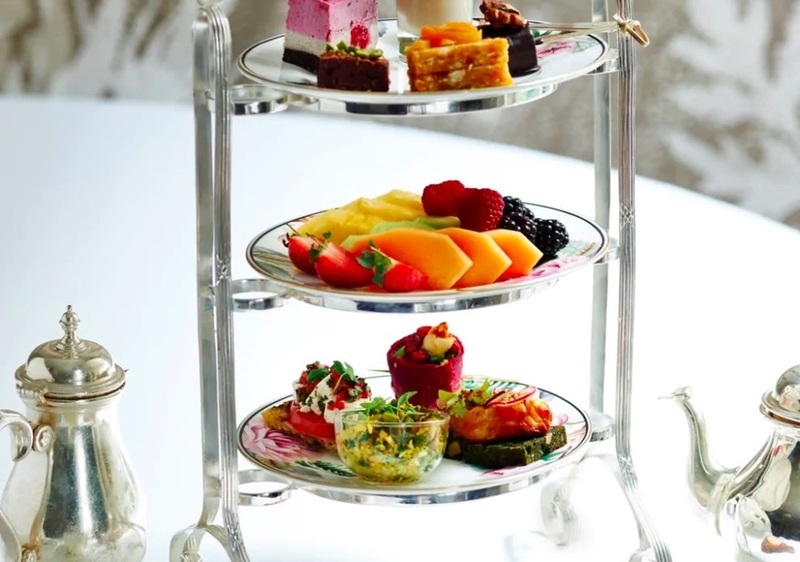 This classically decorated 19th century hotel serves highly popular Tea Tox Healthy Afternoon Tea. It’s low-sugar rather than sugar-free, featuring the likes of honeyed yoghurt with caramel sauce, passion fruit and coconut rice condé, and a selection of fruity cakes. It costs £55, or £65 with a glass of champagne. Primrose Bakery's quinoa and cocoa cupcake. Established for over 10 years, this much-loved bakery has branches in Primrose Hill and Kensington High Street, and has spawned a number of cookbooks. Regularly available in-store on selected days of the week are quinoa and cocoa cupcakes, sweetened with agave nectar (£3.25 each). They can be ordered online, too, and require a minimum order of twelve. New on the scene, Yummzy is a small café specialising in, as they call them, 'sinfully guiltless' desserts. Pop by, says Londonist's Ruth Hargreaves, and you may be rewarded with the likes of coconut pralines, chocolate tarts, homemade eclairs and a whole manner of tempting cakes (the choices change every day) — all with no added sugar. The offerings are all vegan, gluten-free and low carb too. It's gorging, without compromising your conscience. This sugar-free, gluten-free bakery is another favourite of Londonist writer Ruth Hargreaves. It's pricey, but for that you get a dedicated menu comprised entirely of sugar-free treats from the likes of cheesecakes, brownies, sponges, tarts, pastries and homemade cereal bars too. Most options can be made vegan or dairy-free on request too. 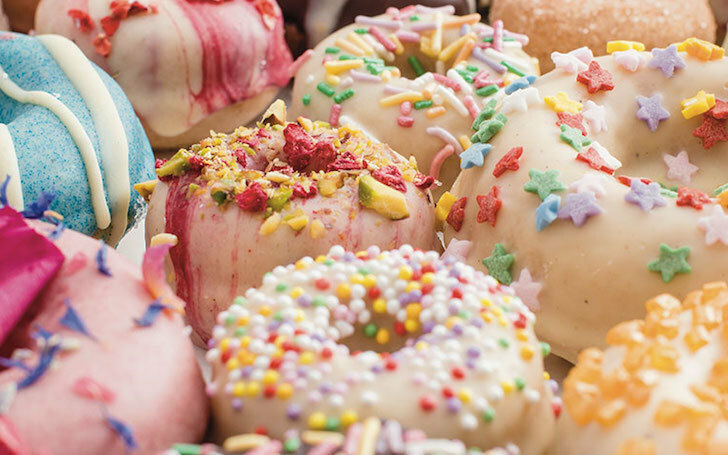 This award-winning vegan patisserie has a weekend stall in Greenwich Market; and their wide selection of beautiful cakes can also be ordered online and delivered all around London. A large number of their products are available in sugar-free options, mostly sweetened with organic agave nectar (or another sweetener of your choice). Imaginative flavours include pomegranate and orange blossom cakes, pistachio and rose cupcakes made with cardamom sponge, spiced carrot, orange and coconut mini loaves with sultanas and walnuts, and large blocks of lavender and rose petal chocolate brownies. Prices vary according to size and quantity. Owned by two young friends, Shadi Geris and Suminder Sandhu, Mr Prempy’s sells raw cakes and chocolates that are free from gluten, dairy, eggs and refined sugars. And it’s the only business we know of which boasts that every single ingredient used is certified organic by the Soil Association. There are whole cakes in seven flavours such as orange and chocolate ganache, and lime and ginger cheesecake (£40); plus their versions of popular chocolate bars amusingly named Bouncy, Ma’s Bars and Snackers (from £8.40 each). Most of the cakes are sweetened with organic pure maple syrup or dried fruit, and the Bouncy Bars with raw acacia honey. The business has an occasional presence in Stoke Newington and Alexandra Palace farmers’ markets and the Chiswick food market; plus the cakes can be ordered online and delivered anywhere in London. Mr Prempy's, order online for delivery or visit the handful of London stockists. Specialising in luxury ‘free from’ cakes, this award-winning business delivers homemade baked goods all over London. 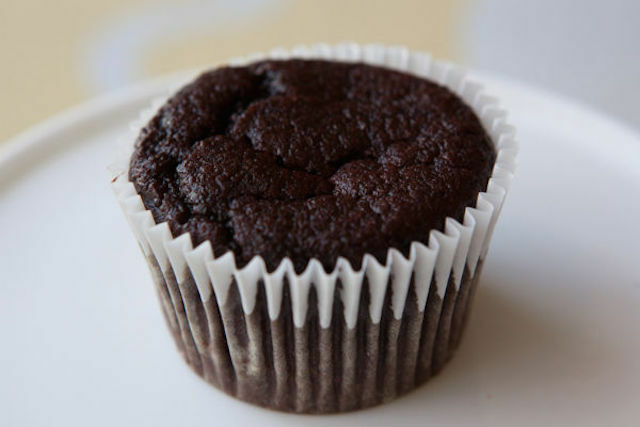 Many of the cakes are available in sugar-free options, sweetened with xylitol, stevia or coconut sugar. 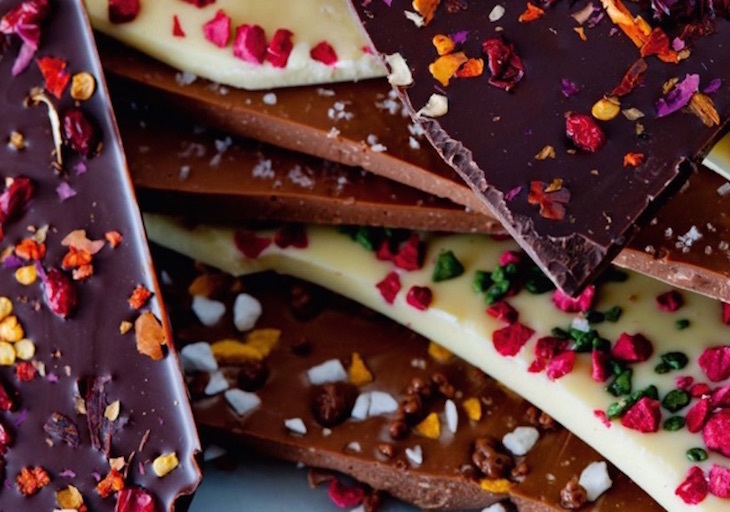 This popular Kent-based chocolatier has shops in Kensington, Chelsea and West Hampstead, which sell three types of sugar-free chocolate bars, also available to order online. The unsweetened 100 % chocolate bar is intensely bitter and not for the faint-hearted; and the sugar-free dark bar and milk bar are sweetened with maltitol. The chocolates in Chantal Coady’s boutiques are renowned for their distinctive blue and white packaging and extravagant flavour combinations. There’s an entire low sugar range that includes a smooth low-sugar 56 % dark chocolate bar sweetened with maltitol that costs £5.50, and sugar-free caramelised almonds coated with dark chocolate and cocoa powder priced at £11.50. Their 99 % chocolate bar contains no added sugar, and other bars with high cocoa content are also suitable for those cutting down on their sugar intake. When Louise Nason opened her chocolate shop in Notting Hill over a decade ago, the idea of gourmet chocolate — which we now take for granted — was still relatively new to London. Melt sells a trio of sugar free chocolate bars, available in dark, milk and milk hazelnut. All are sweetened with maltitol and priced at £7.99. You can even see the chocolates being made daily in the shop’s own kitchen. This hugely popular chain, which has many shops around London, has a large range of chocolates for diabetics. Note that the chocolates are low-sugar with high cocoa and nut content, rather than no-sugar or made from sugar substitutes. All the ingredients are listed on the website; and prices range from £3.75 to £25. Hotel Chocolat, multiple shops including Canary Wharf, St Paul's, King's Cross, Covent Garden, London Bridge Stratford and more. See the website for the full list of locations. Originating in Brighton, the chocolate brand renowned for introducing wacky flavours such as chilli and lime pickle to an unsuspecting Britain 15 years ago now has shops in Kingston and Spitalfields. Like a few other chocolatiers we spoke to, they advise those cutting down on sugar to buy high-cocoa 80% and 100% bars. Located by the Hindu temple, Shri Swaminarayan Mandir in Neasden, is a Gujarati vegetarian restaurant Shayona, an Indian grocer and a small shop selling Indian sweets (‘mithai’) and savouries. Like many other Indian mithai shops, this too sells a couple of sugar-free versions of traditional sweets, including khajoor pak (made from dates) and anjeer pak (from dried figs). Both are richly fudgy — and you won’t miss the sugar. 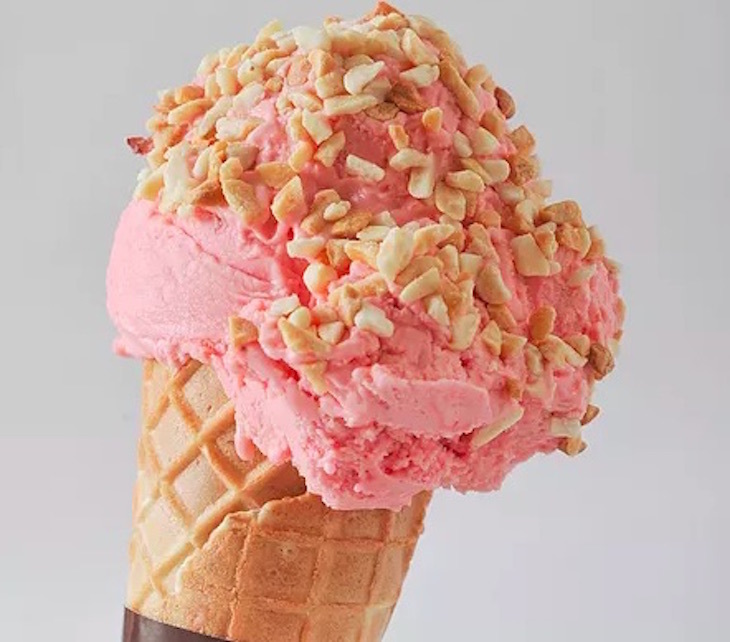 This highly popular, acclaimed international chain, which has a store in Covent Garden, sells a low-sugar yoghurt-based gelato with daily-changing flavours, available as a scoop or a sundae. Additionally, you can order any of the flavours, such as mango or lemon, in sugar-free versions. This acclaimed, award-winning Italian gelato chain has several branches in London. They sell a sugar-free sorbets, sweetened with isomalt. This kids’ favourite high street chain offers a no added sugar pineapple and coconut ice cream featuring pineapple chunks, sweetened with naturally occurring sugars in the fruit and artificial sweeteners. Whether you like to top your frozen yoghurt with pistachios or passion fruit, all Snog yoghurts are sweetened with agave syrup, and contain no refined sugars. The chain has several branches in London. Snog, multiple shops including Covent Garden, Soho and White City. Additionally, you can buy a good selection of sugar substitutes and low-sugar foods in popular London-wide health food chains such as As Nature Intended, Whole Foods Market, Planet Organic and Holland & Barrett. Also look out for the annual Natural and Organic Products Europe show and the Allergy and Free From Show for ideas, inspiration, tips and trends in sugar-free eating. Do you know of any other places in London where good quality sugar-free or low-sugars foods are available? Let us know in the comments below.